We've made a proactive medical alert service that intelligently routes users to the right care services at the right time, whether that's a nurse, family member, social worker, or, if necessary, the ER. QMedic's simple help button passively tracks motion & sleep patterns 24 hours/day, enabling care providers & family members to perform wellness checks as needed. This lowers the cost of care for health insurance plans while enabling your loved ones to get the care services they need. 1 70% of ER visits are avoidable. 2 6 to 1 cost savings for health plans using QMedic. 3 $4.6 Million in non-dilutive funding from the NIH. 4 100 BETA units sold out in 2015. 5 1,000 subscriptions prepaid for next version of the service. 7 2 multi-year regional Medicaid contracts; contracting with 3 private Medicaid health plans. 8 Wearable button with embedded sensing has over 2 years of battery life; no battery recharge required. 10+ years in product management, marketing, and UX at two tech startups. MBA'10 from MIT, MS'04 from LSE; McGovern Entrepreneur Award at MIT. 15+ years of experience in signal processing, wearable computing, ultra-low power hardware design and machine learning. 10+ years experience in sales and finance; previously on Board of Directors of global health non-profit; MBA'10 from MIT. Former VP of Humana. 30+ years of product dev and strategy experience in healthcare industry. As you know, healthcare costs in the US are very high compared to the service received by patients. Routing to nurses/care management helps support early intervention for high-risk members and reduces cost. This is where QMedic comes to help. This startup has a very talented team from MIT as well as care management expertise. QMedic's success with raising $4.6M non-dilutive capital from the NIH provides credence to their concept and technology.QMedic is targeting a global opportunity to reduce unnecessary ER use and help caregivers optimize care services for those at risk in the home. Once successful in the US, QMedic can support needs in other developed and developing countries. QMedic has impressed me by being responsive to any inquiry – it does everything that Life Alert says it does and more. Our entire family feels less anxious now that my mother-in-law is using QMedic. QMedic’s solution is novel in that it adds valuable remote monitoring capabilities without changing the standard medical alert battery life capabilities...QMedic’s technology has enormous potential to expand the market to new customers and open up new revenue opportunities as healthcare payment models shift away from fee-for-service. The mHealth tools that QMedic is developing could significantly improve quality of care by enabling us to identify early on which patients are good candidates for rehabilitation services. We've built a next-generation smart technology platform to meet the complex health needs of older adults. With current medical alert services, users are routed to the ER, or nothing happens. Depending on your loved one's situation, we'll dispatch a social worker, call non-emergency medical transportation to the primary care doctor, and/or send text alerts to all appropriate caregivers. Since our inception, QMedic’s mission has been to provide caregivers with the tools they need to proactively manage patients and loved ones in the home. From the time that older adults and disabled persons are discharged from the hospital—after a fall, stroke or other debilitating condition—they face enduring challenges to living independently. Historically, existing alternatives on the market, from traditional help buttons to 911 operators, have routed people one-way to the emergency room. QMedic believes there is a better way to serve people in the home, while lowering ER admissions and the cost of care dramatically. The convergence of low-cost sensors and intelligent software has introduced exciting opportunities to build 24/7 proactivity into home care. At QMedic, we’ve spent thousands of hours iterating on product with users and caregivers. As a team, we believe there is no more rewarding pursuit than honoring our loved ones, from Baby Boomers to the Greatest Generation, by helping them live independently at home. We appreciate your consideration of the QMedic opportunity and look forward to working together to bring our simple, smart medical alert service to market. 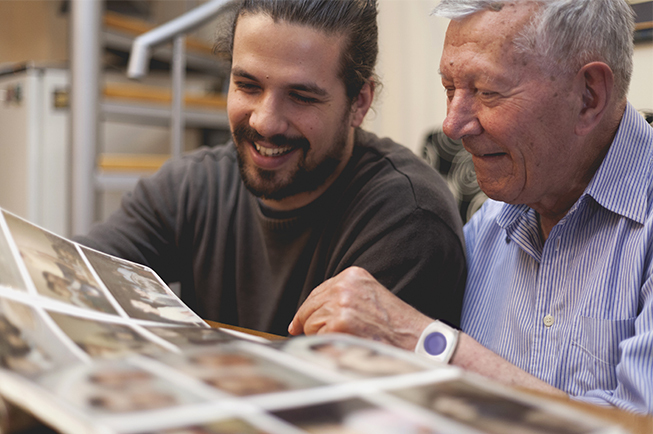 As the population of older adults rises dramatically over the next decade, we're bringing simplicity, connectivity and affordability to care delivery in the home. Our mission is to reduce unnecessary ER admissions while helping care providers and family members deliver faster, more proactive care to loved ones with complex needs. 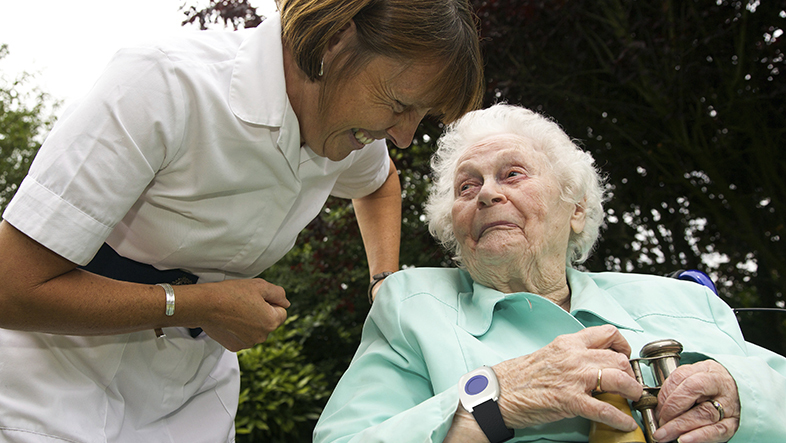 We envision QMedic helping older adults around the world live independently in their own homes. We’re building a smart medical alert service that routes older adults living at home to the appropriate care services at the right time. Historically, you’ve had medical alert services and 911 route people to the ER whether or not they needed those services. Instead, we’re focusing on first routing people to alternative care management: nurse triage, behavioral health services, or other care providers that are relevant. This is better for the person because it gets them the right services at the right time. It also lowers the cost for the care network versus sending the person to the ER. Second, we can detect abnormal patterns through intelligent sensing embedded in the button. For example, if somebody’s waking up later than usual, experiences unusual sleep disturbances or noticeable changes in motion patterns, we can identify those patterns and proactively escalate alerts to the care network so that they can perform inbound wellness checks. When a person presses the button, our base station can intelligently route the call to any phone number based on context of voice call and behavior data we collect. If a health plan wants us to route directly to a specific care provider such as a nurse line, we can do that. We can also route to our call center, which can relay the call accordingly. We are optimized for two-sided risk, which means we can route to the emergency room if needed. On the other hand, if the user is in distress but doesn’t require emergency services, we can route elsewhere. The call center can utilize the dynamic decision trees and scripts that we generate via our intelligent software platform to get users to the right services based on need. If we detect something awry, like a late wake-up or changes in movement patterns, we can escalate alerts to our 24/7 call center, nurse or family member to perform a wellness check. How are you better than existing solutions? Historically, traditional medical alert services, such as the “I’ve fallen and I can’t get up” suite of products, have been very transactional. You press the button and the call center either routes you to the ER or hangs up and does nothing. In reality, the options shouldn’t be binary. There should be opportunities to service people between those two extremes, and for the population that we serve—people who are high-risk, recently discharged, socially isolated, multi-chronic—there are real and emerging challenges to living at home. Our objective is to surface these problems when they emerge and proactively route people to alternative care management, which isn’t happening widely in the market today. QMedic utilizes intelligent software and machine learning to route based on context of distress calls and behavior patterns in the home. We also enable proactive wellness checks when something is awry. Another aspect of key differentiation is in the data and voice routing of the base station. Unlike traditional medical alert services, where the base station is primarily hardware-driven, QMedic’s base station is software-driven. We can route according to context, program different phone numbers on demand, and automate reminders and content from the care network based on the needs of the user. If you think about who our biggest competitor is, it is not traditional medical alert services but rather the entrenched 911 system. For reasons of liability, when you dial 911, the options are again binary: treat the case as an emergency event or hang up and do nothing. With QMedic, there’s so much more opportunity to proactively route non-emergency distress calls and emerging issues to alternative care management. In contrast to newer systems that utilize sensors, many are too cumbersome for the user and too expensive for the care network (some systems cost $200+ per user per month). QMedic is the most power-efficient wearable computing-based system on the market, with 2-year battery life and the ability to sample behavior data every minute of the day. This is very important for building 24/7 wear compliance among users, and QMedic has demonstrated nearly 3x the wear compliance vs. traditional medical alert services. At $30/month, QMedic is also much more affordable than next-generation sensing platforms entering the market. What percent of existing ER visits are unnecessary? 70% of ER visits are unnecessary. How good can QMedic be at avoiding unnecessary ER visits? You’re not going to re-route every case. But even re-routing 5-10% of calls and distress signals originating in the home to alternative care management would introduce considerable cost savings. Based upon a proprietary reference study we use for estimating the cost savings, QMedic projects that we can generate greater than 6:1 cost savings for managed health plans based on pre-selecting users who are at high risk of going to the ER. Typically, a health plan will green light anything that yields greater than 3:1 cost savings. A 5-minute ambulance ride costs upwards of $800 depending on geography. The admission to the ER conservatively costs $1,200-2,500. If the user is hospitalized, rightfully or wrongfully, that can cost upwards of $10,000 for the inpatient stay. In contrast, routing non-emergency calls and distress cases to nurse triage costs roughly $150 per call when you factor in nurse salaries, call volume and resource re-allocation. What other problems can you help solve? One of the big reasons people use the emergency room is because the ambulance is just a quick 911 call away. More often than not, frail users don’t pick up the tab for the ambulance trip because Medicare will deem the transportation “medically necessary” and reimburse. Interestingly, State Medicaid programs spend $3 billion a year on non-emergency medical transportation. It’s one of the most underutilized benefits for Medicaid consumers. Many people are not even aware that they can take these subsidized services. In the same way that OnStar built a system for provisioning roadside assistance for drivers, QMedic wants to be the service that helps people access subsidized non-emergency transportation and care services from the home 24 hours/day. And the best part is that Medicaid will pick up the tab when a user in distress is able to provision non-emergency medical transportation--this is much more cost-effective than the ambulance trip to the ER. Win-win-win. Why hasn’t anyone done this yet? There are a few reasons. There is wisdom in the traditional medical alert business model. We actually look up to these companies, like Lifeline, Life Alert, because they built something that served an enduring need for the consumer—namely, being able to summon help 24 hours/day. This is incredibly important for people who are frail, recently discharged and/or face regular challenges to living independently at home. In this way, the medical alert delivers value, but historically it’s just been a very hardware-driven service. On the flipside, in the world of wearable computing that we live in, using microelectronics, software and machine learning to support healthcare needs is still in its infant stages industry-wide. We can all agree that deliveringintelligent routing in a way that’s very simple for users is very important butfor most companies, this quest has been elusive. This is where QMedic has reallydifferentiated in the market: simplicity, affordability and connectivity for the care network. Why does your business model make more sense than your competitors? Traditional medical alert services typically sell direct-to-consumers by pitching FUD: fear, uncertainty and death. This makes for a lucrative recurring-revenue business model because families prioritize safety of loved ones very highly, but it’s a lousy proposition when it comes to doing what is right for the consumer. QMedic’s business model relies on doing well by doing good and we think that’s the right way to do business. Furthermore, the traditional medical alert resellers run a transactional business and they have little incentive to change: “Press the button. Go to the emergency room. We really don’t care what happens.” This model is ripe for disruption and if you can leverage the care network and generate cost savings for them, the opportunity is a no-brainer for managed care networks. By 2020, the traditional medical alert market will be about $4.4 Billion globally. That’s just the transactional “I’ve fallen and I can’t get up” business. But the opportunity to support care coordination and reduce wasteful spending is far greater. In the US alone, there’s over $34 billion in serviceable waste that can be eliminated from preventing unnecessary ER visits and expensive out-of-network care. There is a global market and appetite for services like QMedic. China, for example, is confronting what’s called a 4-2-1 problem, where because of historical government policy, there is typically one grandchild for every two parents and four grandparents. That means there will be fewer caregivers than ever before having to manage the safety and day-to-day care of more loved ones. Why do managed care providers have an incentive to use you? There’s two things, and this is important. Medical alert is coveredunder a Medicaid waiver in 40 states. In order for a member to qualify formedical alert coverage under the Medicaid waiver, you have to be able to summon help independently, have functional impairments necessitating medical alert and not have an in-person caregiver 24 hours/day. With regard to the service criteria to qualify as a Medical alert for Medicaid, the service must provide reasonable 24/7 access to emergency care if needed. Whatthat means is for a plan, they literally write us into the line item, Medicaidpays for that, it’s budget neutral; and because of the cost savings of routingto care management, there’s zero incentive for them to stay on the existingmedical alert product. How much traction have you had with payers? We’ve been oversubscribed on demand from care plans and don’t have the inventory to service them. We’ve been turning away all referrals except those currently under Medicaid contract. We have two 3-year contracts with regional Medicaid offices. To service demand from the two existing contracts, we’re currently reselling another company’s medical alert service and we’ll switch them out with QMedic units once Version 4 comes out. How many units have you sold thus far? We produced 100 BETA units and sold out of all by 2015 end. We’re currently spending zero dollars on marketing and still getting organic inbound consumer demand of over 50 units/month. We also have a 1,000 subscribers prepaid from a home health reseller. They’ve prepaid us for the Version 4 units. That’s 1,000 subscribers in the first year, 4,000 total by the end of the second year through the reseller channel. When will your next product be ready? We anticipate by the end of the summer 2016. This new version is designed for large-scale manufacturing. What technical challenges need to be figured out for the next version of the product? In the BETA service, we didn’t have the best speaker quality in the base station. Speaker/microphone quality is very important, especially for the hearing impaired. Users and customers really care about that. We’ve built the new base station with a great speaker and sensitive microphone to pick up voices around the home. The range of the wearable to the base station is over 1,000 feet, which is better than any medical alert service on the market and covers 1-2 bedroom homes easily. We’ve been testing the new versions of the base station and wearable very rigorously. We are able to do all of the voice call and data routing, but we’re very focused on ensuring the hardware and firmware work robustly, after which we can finalize the designs for certifications and approvals. The wearable is FCC approved. 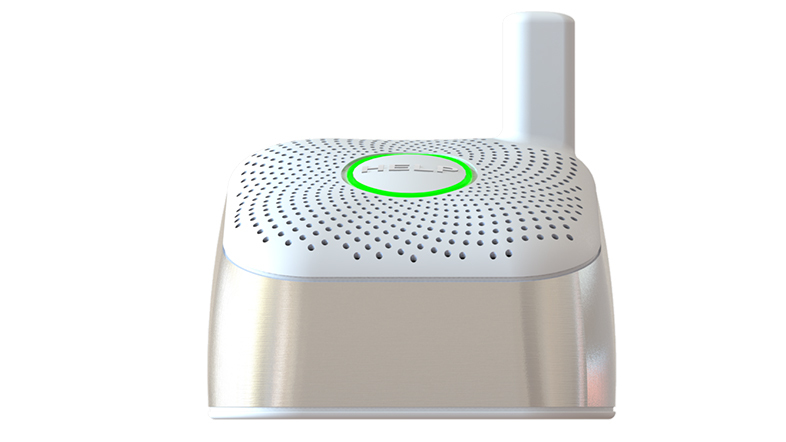 The base station still needs FCC approval, and then we need to test both wearable and base station to UL standard. When we test to UL standard, this reduces the safety risks around the product, which is critical prior to public use. Managed care plans have a variable purchasing process they have to go through internally and it is typically a 6-8 month window. We started with our first plan partner about 6-8 months ago and now have an LOI in hand from 1, and contracts in hand from 2 more. We also have to be credentialed by Medicaid in every state that we service and get reimbursed for Medicaid members. That typically takes anywhere from 60 to 120 days. We’re credentialed in 3 states (MA, MN and TN). Some of the other states where we’re waiting to finish credentialing include Florida, Texas, New Jersey, Iowa and Ohio. This is an important intermediate step for servicing managed Dual Medicaid plans. Once we’re credentialed, we can get covered under the state Medicaid waivers, and we can onboard Dual members within the plan. The onboarding path is going to be primarily to switch out people who are on existing medical alert services and are at high risk of utilizing the ER. We’ll put them on QMedic’s service, re-route them to nurse triage for non-emergency issues, demonstrate the cost savings over 6 to 12 months at 200 to 500 members per plan (against a cohort-matched group), then scale up 10x or more in each plan + add new plans; rinse and repeat. We have two 3-year contracts with regional Medicaid plans in Massachusetts serving members who have been recently discharged from the hospital. With those contracts, we are paid for every install and monthly subscription we provide. We also have a prepaid contract with a large home health reseller, which will net 1,000 subscribers by end of Y1 and 4,000 by end of Y2. With our approach to care management, we are now onboarding private Medicaid & Medicare Advantage plans servicing high-risk members in the home. Initially, we are partnering with 3 managed health plans in specific states where we are credentialed as a medical alert provider by state Medicaid. For low-scale production orders, we work with a manufacturer in Boston. We also have a Chinese manufacturer, and so the thousands of units will be produced in China. All small runs (below a thousand) are done in Boston and all large runs above a thousand will be done in China. We’ll start our runs in China when Version 4 is ready in late Summer 2016. How much does US manufacturing cost v. overseas? For low-volume orders of 200 units or less, it’s $400 for the wearable and the base station in Boston. We wouldn’t do low-volume orders overseas. We’re looking at $156 for the wearable and the base station made in China at the volumes we’re talking about (around 2,000). It’s a capitalized lease model. From a cash flow perspective, we need to spend upfront for manufacturing. From an income perspective, the units are depreciated monthly over 5 years/60 months. The business model is typically $30/month for the service; some state Medicaid programs also reimburse $30-100 for installs/activations. There are longer term opportunities to participate in cost savings and incremental revenue generated for health plan partners, once we demonstrate that value to the plans. This is a beautiful thing. At $30/month we’re close to 70% monthly margins. On the monthly cost side, our call center is $5 per member per month, data is $2/month max, and we’re estimating $3/month for customer service. Our total per-user cost is under $10/month. Why did the NIH give you $4.6M? The NIH is the earliest adopter for services that help researchers better understand consumer behavior in the home. What we have built for the commercial market is very much aligned with what the NIH has funded in the past. For QMedic, the NIH funding supported the development of smart sensing tools to enable researchers and clinicians to leverage real-time data to perform early interventions in the home. They’ve continued to fund us because they think we’re one of the most usable products and services in the market. We’ve built very power-efficient algorithms to make it simple for users to not have to recharge devices. We’re able to route data anywhere in the care network. We can push software-driven alerts and wellness reports to anyone. All of this supports early intervention, so whether you’re a researcher, clinician, nurse or family member, QMedic enables this to happen—that’s why the NIH is supporting us across these different contracts. Why are you guys the right team? Our team came together at MIT, where Dave and Sombit were at Sloan and our CTO Fahd was at the Media Lab. One of the things that was relatable across all the founders is that we all had family members who lived alone and either had medical alert services or other types of in-home support. We always thought there was a better way to support caregivers. Sombit's background is in product management and UX, and he's worked in tech startups his whole career. Sombit is obsessive about usability, unit economics, and pure hustle in pushing product-market fit and go-to-market execution. Dave has extensive experience in sales and finance, and has a penchant for getting the attention of senior leadership at even the most conservative health insurance plans. Dave's persistence has played a big part in generating sales leads and contracts from leading health plans. Fahd was at the Media Lab at MIT and has over 15 years of relevant experience in signal processing and machine learning with a focus on power-efficient algorithms to support usability for consumers. Fahd is responsible for hardware, firmware, and software design, and is very well-rounded in terms of managing engineering and technical talent. Dr. Hari Sundram, our Chief Medical Officer, previously founded Predilytics, which sold to Welltok in 2015. It was one of the more notable exits in healthcare IT. When we came together with him, there was a meeting of the minds in using proactive medical alert to inform how health plans segment and optimize services for consumers in the home. His experience in predictive algorithms, care management and medicine (as a practicing physician) has been invaluable to the team. In 2015, we also brought on Gail Miller as an advisor. She was the VP of Medicare Product and Business Strategy at Humana and grew their clinical telephonic operations, so she really understands the implementation process and sales cycle for a health plan as well as how to optimize pilots and pre-select the right members to drive cost savings. Sombit: I have parents who work in healthcare, running a cancer clinic in New York. One of the things I saw growing up is my parents would deal with a lot of low-income patients on Medicaid. They would treat people even when they didn’t get paid for services. In addition, my dad would often say to me, “Many times, my patients go to the ER and they don’t need to, and I wish they would come to me instead.” This happens to this day, and it has very much informed my thinking around enabling proactive intervention in the home. Our cash in hand is $180,840, as of April 2018. Over the three months prior, revenues averaged $72,608/month, cost of goods sold has averaged $77,100/month, and operational expenses have averaged $104,114/month. Revenues & Gross Margin. For the period ended December 31, 2017, the Company had revenues of $786,237 compared to the year ended December 31, 2016, when the Company had revenues of $1,363,656. Our gross margin was 9.90% in fiscal year 2017, compared to 20.24% in 2016. Assets. As of December 31, 2017, the Company had total assets of $342,198, including $126,660 in cash. As of December 31, 2016, the Company had $474,564 in total assets, including $216,443 in cash. Net Loss. The Company has had net losses of $178,638 and net losses of $184,973 for the fiscal years ended December 31, 2017 and December 31, 2016, respectively. Liabilities. The Company's liabilities totaled $1,633,933 for the fiscal year ended December 31, 2017 and $1,467,037 for the fiscal year ended December 31, 2016. To-date, the company has been financed with $250,000 in debt, $1,100,000 in convertibles, and $100,000 in SAFEs. EveryFit, Inc. cash in hand is $180,840 as of 4/20/2018 . Over the last three months, revenues have averaged 72,608/month, cost of goods sold has averaged $77,100/month, and operational expenses have averaged $27,014/month, for an average burn rate of $31,506 per month. Our intent is to be profitable in 18 months. mitigate product risks/delays and manage client expectations. high-quality units once product testing is finalized. For smaller production runs of 200 units or less, QMedic contracts with a manufacturing partner in Boston, MA with a great reputation for servicing low-volume orders. malfunctions or does not work as it is supposed to for a particular user. issues and replace defective units as soon as possible. all users to test the help button at least once per month to ensure that the button press and call routing are always working. The remote monitoring, passive activity/sleep monitoring and medical alert industries are crowded with both traditional competitors and new entrants. Health plan enterprise sales operate on a slower timeline than consumer-focused sales. For QMedic, we are onboarding 3, and at most 4, health plan partners in 2016 to service 200-500 members/plan. Importantly, for the partners with which we are completing/have completed contracting agreements, we are credentialed for full Medicaid coverage in the states where the plans operate (we anticipate credentialing in a total of 10-15 states by the end of the year). Because QMedic requires no data integration with health plans and Medicaid covers the monthly service in full for Dual Eligible members, we can begin servicing partner plan members as soon as Version 4 of the QMedic service is ready to deploy. For future health plan clients, variability in internal processes at each plan can impact sales cycle length. There are specific state-by-state Medicaid criteria that must be met to qualify as a personal emergency response service (PERS) and receive reimbursement under the Medicaid Long Term Services and Support Waiver (LTSS) or equivalent state Medicaid waiver. QMedic must be credentialed in each state where the company seeks coverage from Medicaid. Currently, QMedic is fully credentialed as a PERS provider by state Medicaid in three states: Massachusetts, Minnesota and Tennessee. By end of 2016, QMedic anticipates credentialing in 10-15 additional states. The timing and variability in each state’s credentialing process can impact QMedic’s ability to execute its go-to-market strategy beyond states where it is fully credentialed. $50,000 QMedic will use the first $50,000 raised through Wefunder to support member enrollment and 12-month pilot implementation with one QMedic health plan partner (500 members max). $100,000 If QMedic decides to raise funds above the minimum target of $50,000, additional funds raised would be used to support additional health plan member enrollment. We apologize for the multiple updates - there is a bug in Wefunder's system preventing the video upload. We will share when this is fixed. Sept. 23, 2015 /PRNewswire-iReach/ -- MIT startup QMedic has received $1.5 Million in new funding from the NIH to scale its proactive medical alert service, which helps health plans keep high-risk individuals out of the emergency room and in the home. This new funding brings QMedic's total NIH funding to $4.5 Million. “We have several favorites,” she says. “Bay Alarm Medical, Medical Guardian, and QMedic are all proven companies with excellent customer service and solid products." This smart little unit can alert when a user is not wearing the device, when they fail to get out of bed, and when they are inactive for extended periods of time. The Senior List® reviewed the QMedic and gave it a test drive in our home lab. It worked exceptionally well, and the staff was professional and accommodating (a great sign for a new company). $30 per month and no long-term contracts. Update 3/15/16- QMedic's advanced monitoring service is currently on back-order. They still offer a basic PERS service, but their smart monitoring and customizable alert features are on hold until the release of their updated system. 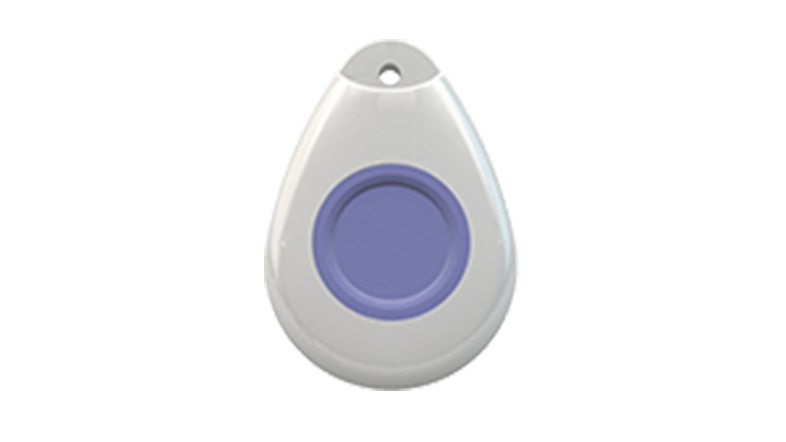 QMedic offers a traditional PERS bracelet or pendant with a button to push when help is needed. Thanks for vouching for Sombit! If you'd like to invest in Sombit, please open an account. We'll waive your fees if you do it now. We asked Sombit for 10 personal references. Can you vouch for Sombit?